Deeper and wider lateral groove design provides excellent traction and enhanced water drainage. 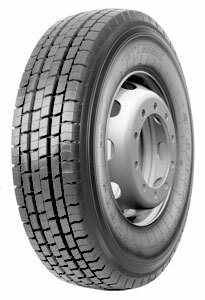 Deep tread design improves original mileage. Open shoulder design provides excellent traction and heat dispersion. Offers good braking and longer life time.